Local: These numb a small, specific area of the body, and are typically applied with an injection, but sometimes topically. Regional: These anesthetics numb a slightly larger part of the body. These are typically injected around major nerve clusters or directly into the spinal cord. General: This renders the patient unconscious and is generally delivered as gas or through an IV. Anesthesiologist errors are rare, and in fact, they have fallen dramatically over the years. But mistakes still get made. In fact, more than 4,000 medical mistakes are made every year. Experts agree medical mistakes are grossly underreported. Even so, medical errors are estimated to be the third-leading cause of death in the United States. When these mistakes happen, they can be devastating – if not deadly. In circumstances where a medical practitioner fails to exercise an acceptable level of care, a medical malpractice claim might arise. While under anesthesia, a surgical patient is completely helpless and vulnerable. So it is more important than ever that the healthcare provider takes his responsibility seriously to ensure the safety and comfort of the patient at all times. For example, the patient’s airway must be protected and monitored, to ensure adequate oxygen levels are maintained. In addition, joints and pressure points must be carefully managed in an unconscious patient, to prevent injuries, especially during long surgeries. During paralysis and general anesthesia, joints can be inadvertently injured as they are able to be hyper flexed or hyperextended without any sign of pain from the patient. Anesthesiologists are also responsible for administering certain types of nerve blocks. They must use caution to avoid damaging nerves and nearby structures when performing these procedures. If you have been injured as a result of an anesthesiologist’s mistake or negligence, call our Colorado medical malpractice lawyers today at 303-792-5595 or fill out our FREE Case Evaluation Form immediately. The severity and extent of an anesthesia injury will depend on the type of mistake made as well as the nature and timeliness of any corrective action taken. Establishing liability can be extremely difficult, as liability does not always lie with the anesthesiologist. Doctors, surgeons, pharmacists, and nurses can all be held responsible for anesthesia injuries. According to the American Society of Anesthesiologists Closed Claims Project, which tracks insurance carrier claims, surgical anesthesia incidents were responsible for nearly two-thirds of claims. More than a quarter of those incidents resulted in the patient’s death. •	Failure to properly establish or maintain a patient’s airway, which can cause brain injury and/or injuries to the teeth, throat, neck, stomach, and lungs. •	Overdose, which results in hypotension, brain injury, stroke, and/or heart attack. •	Failure to properly monitor a patient before, during and after surgery. •	Failure to recognize complications and adverse drug reactions. •	Improper or negligent management of oxygen administration during surgery, which can cause serious brain damage. •	Improper or incomplete evaluation for anesthesia tolerance, which can lead to a failure in identifying patients at higher risk for malignant hyperthermia. •	Allowing oxygen to come into close proximity to hot surgical equipment, which burns the patient. •	Surgical procedural errors resulting from a failure to properly evaluate a patient’s medical history. If you have lost a loved because of a careless mistake made by an anesthesiologist or medical professional, call one of the Colorado medical lawsuit attorneys at Burg Simpson as soon as possible at 303-792-5595. Anesthesia errors can result in serious personal injuries and sometimes even wrongful death. In addition, many individuals can experience severe psychological injuries after such an event, including sleep disorders and post-traumatic stress disorder, among others. There are several types of anesthesia, and each one can affect the body differently. Anaphylaxis, which is an extreme allergic reaction. Awareness, which is what happens when a surgical patient under general anesthesia can recall the event, including pressure or pain, related to their surgery. Ocular injury, a physical or chemical eye or eye socket wound, is the second-leading cause of visual impairment in the country. Blindness, which is a postoperative condition that emerges as a complication to general anesthesia. Sore throat, which affects nearly half of patients. Oral trauma can include any injury to the teeth, gums, lips, and/or tongue. Peripheral nerve injury (permanent and temporary) typically results from poor patient positioning. If you have suffered any of these injuries, do not wait to reach out to our Denver medical lawsuit attorneys now. Anesthesia awareness is the term used to describe what happens to a patient when they regain consciousness during surgery, often because of an insufficient dose of anesthesia or as a result of hospital equipment error. This can occur even when the patient is still paralyzed and unable to communicate that they are aware because the medications that induce paralysis are different from those that cause sedation. Being aware, and able to feel pain, but unable to cry out or communicate is understandably an exceptionally traumatic experience. While not all cases of anesthesia awareness are a result of medical malpractice, a large proportion can be attributed to physician error. According to some industry associations, anesthesia awareness during surgery affects more than 40,000 patients each year. These events also can have lasting effects, such as chronic nightmares, anxiety, irritability, and an unusual preoccupation with death. If you have suffered through this traumatic event – and are still experiencing ongoing side effects as a result – you may have a medical malpractice claim. 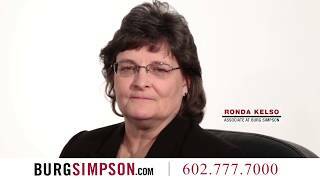 You should speak to our experienced Colorado medical malpractice attorneys as quickly as possible. 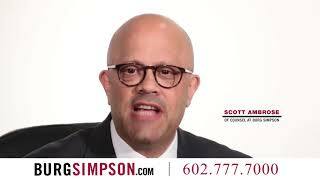 Call Burg Simpson today at 303-792-5595 to speak to someone who can help. Even with all of today’s advances in medicine and medical technology, mistakes happen all too often in the operating room. And few mistakes are as frightening – or as lethal – as those committed with anesthesia. If you or a loved one have suffered as a result of anesthesia errors, reach out to us today for a free, no-obligation evaluation of your case. 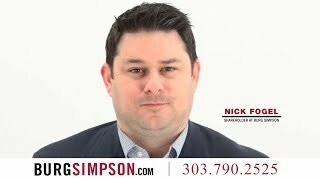 The Denver medical malpractice lawyers at Burg Simpson can help. We have the experience and resources to help you get back on your feet. Call us today at 303-792-5595 or fill out our Free Case Evaluation form right now.